New data collection technology, such as GPS, high definition cameras, UAVs, genotyping, and crowdsourcing, are generating data about wild populations that are orders of magnitude richer than any previously collected. Unfortunately, in this domain as in many others, our ability to analyze data lags substantially behind our ability to collect it. In this talk, Dr. Berger-Wolf will show how computational approaches can be part of every stage of the scientific process of understanding animal sociality, from intelligent data collection (crowdsourcing photographs and identifying individual animals from photographs by stripes and spots) to hypothesis formulation (by designing a novel computational framework for analysis of dynamic social networks), and provide scientific insight into collective behavior of zebras, baboons, and other social animals, including humans. Dr. Tanya Berger-Wolf is a Professor of Computer Science at the University of Illinois at Chicago, where she heads the Computational Population Biology Lab. As a computational ecologist, her research is at the unique intersection of computer science, wildlife biology, and social sciences. 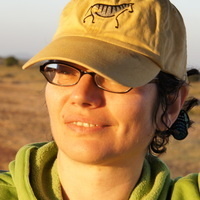 Berger-Wolf is also a director and co-founder of the AI for conservation non-profit Wild Me, home of the Wildbook project, which recently enabled the first-of-its-kind complete species census of the endangered Grevy’s zebra, using photographs taken by ordinary citizens in Kenya.